Wow, two 14/15 products in a row! 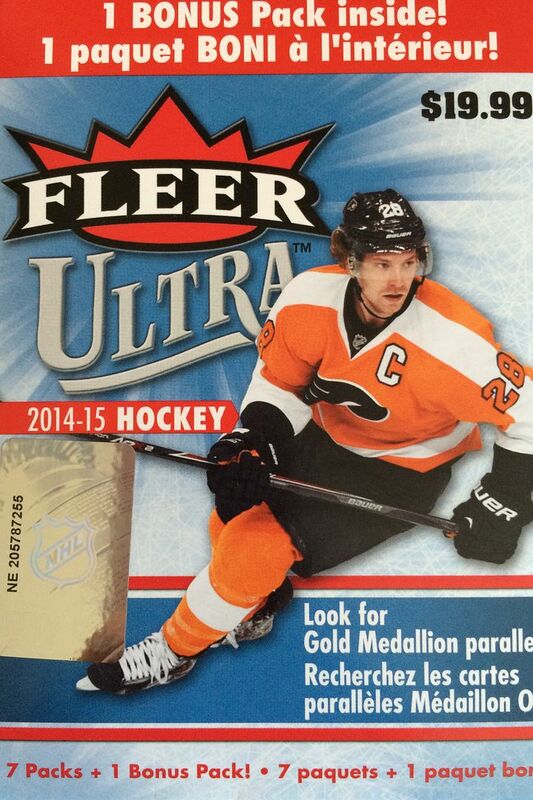 This week I'll be opening up a blaster of 14/15 Fleer Ultra Hockey. It's been a while since we've had an Ultra product. This mid-range product used to be a very common sight in at retail outlets. It looks like it's back on store shelves ready for collectors to pick up and enjoy. It's fun to open up products from the current season. Yes, they do cost more... but there's just something about getting something that is current. That being said, I thought it was curious that these blasters had a sticker covering up the $19.99 printed price on the box. That sticker had a $24.99 price on it Perhaps this blaster was for sale in Canada? I'm not sure. Ultra was once a super-premium brand. I fondly remember the commercials and advertisements for Ultra back in the early 90's as it was touted to have full-color fronts, back, and foil stamping. Ahh, simpler times! This year's Ultra is a bit of a throw back in that it is a more insert-driven product rather than hit-driven. Even in hobby boxes of Ultra you are not guaranteed to get an autograph or memorabilia card. This blaster was alright - if not a bit lackluster. There were quite a few all-base packs here with only three non-base cards out of the blaster. The cards themselves are a bit plain. The all-white borders reflect more of a lower-end brand to me than what Ultra was in the past. I would have liked these cards to be more glitzy - as they are now the cards feel too plain. It's a good thing that I paid only $10 for this blaster as it just wasn't that great. If there were more inserts in it... not even hits... I would have been a lot happier. A brand like O-Pee-Chee with a ton of variety has it done right. If Ultra had inserts like OPC this break would have been much more interesting. 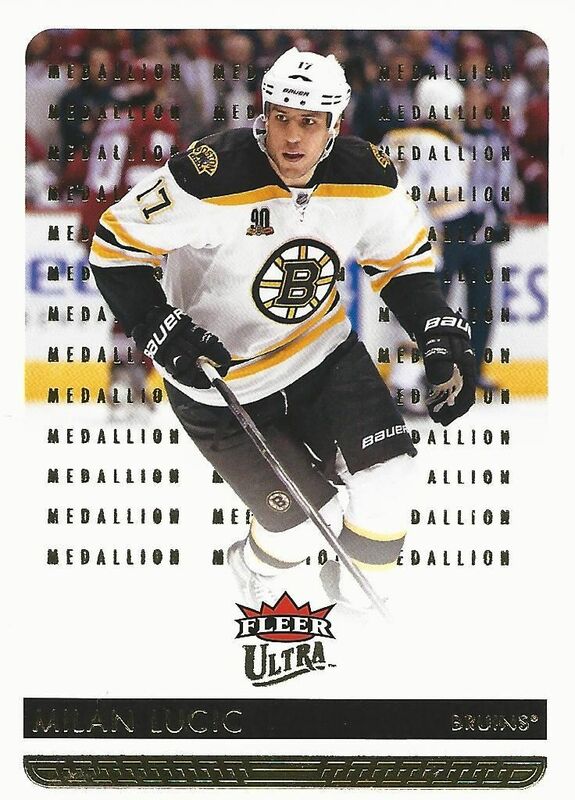 Lucic is a good player, not especially a guy with big card values, but he's won championships with Boston. If this parallel card was of a lesser player I probably would have picked a base card as my third card here. 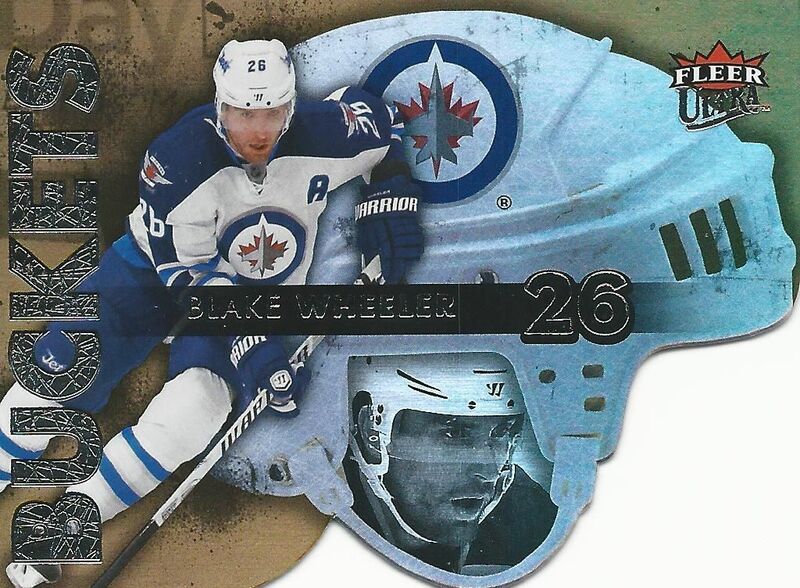 Lots of foil shine and die-cutting makes this card stand out. These are the fun type of cards that I think Ultra could use a whole lot more of in the blaster boxes. It would definitely make the break a lot more interesting. As it stands, this was the only card like this out of the entire box. 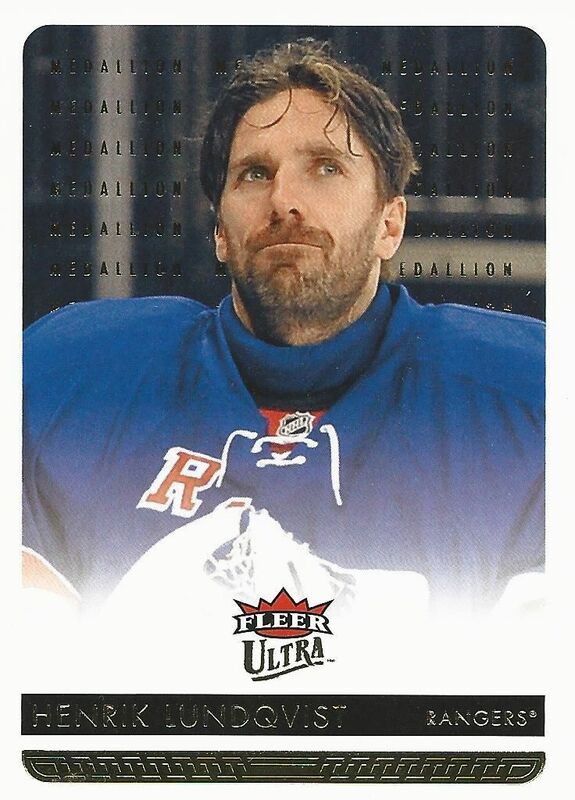 Lundqvist is the biggest name and star out of the non-base cards I got. He's definitely a popular player and well-liked. These gold medallion cards are actually pretty cool in that while the word 'Medallion' adorns the entire background, they definitely go 'behind' the player. Good printing techniques here! This was my first blaster of Ultra... and it wasn't the best. I would definitely give it another go to see what else could possibly come out of these things. Its original price is just way too much, but at half it becomes and 'ok' buy. I'll be looking to get another one of these blasters to try soon.